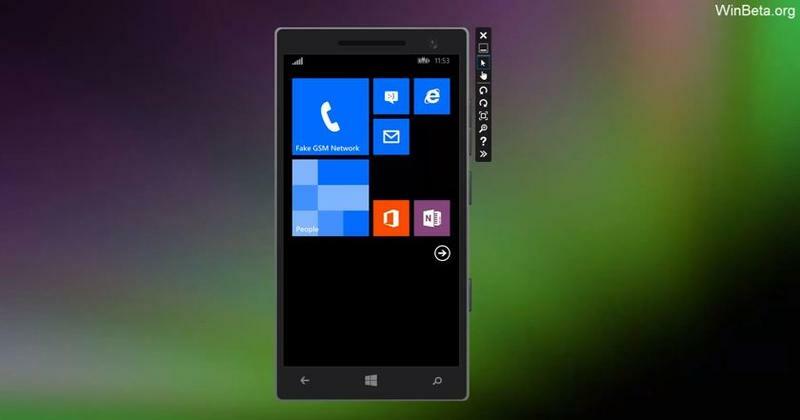 Yesterday, a developer took to Reddit to reveal several new changes that may see the light of day in Microsoft’s Windows Phone 8.1 update. We saw a few pictures, but we still couldn’t really see all of the changes in action. 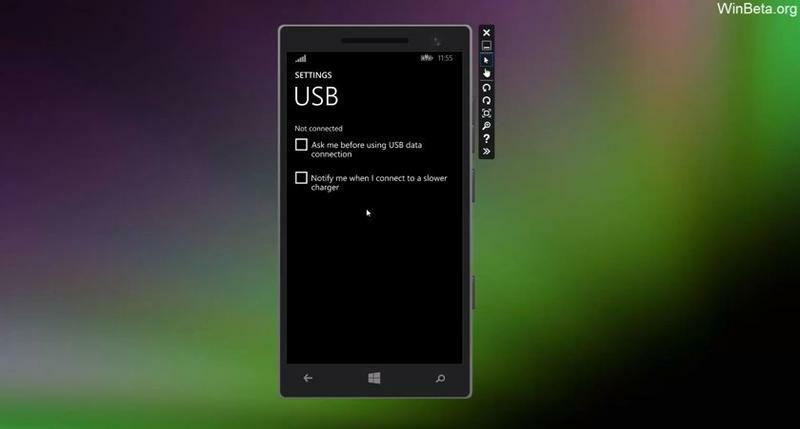 That problem is solved now, since a new video has popped up online showing an emulator of Windows Phone 8.1. It isn’t final, so we might be able to expect new features or for some of what we see to change, but you’ll still get a pretty good look. First we’re walked through the new option to close and open applications with a simple swipe down. You can’t close two apps at once, as we see, which is an option inside of iOS 7. 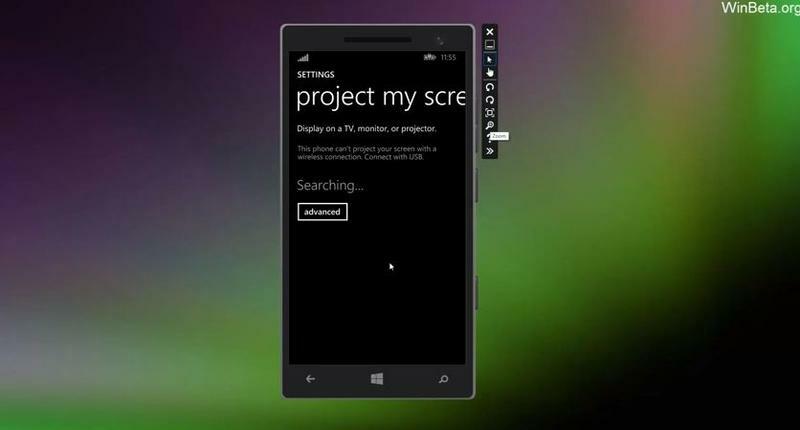 There’s a new “Project My Screen” setting that lets you display your content on a TV, an advertising ID option – though its use is still unknown – new USB settings to change what happens when you plug your phone into a computer, and of course the new navigation bar. 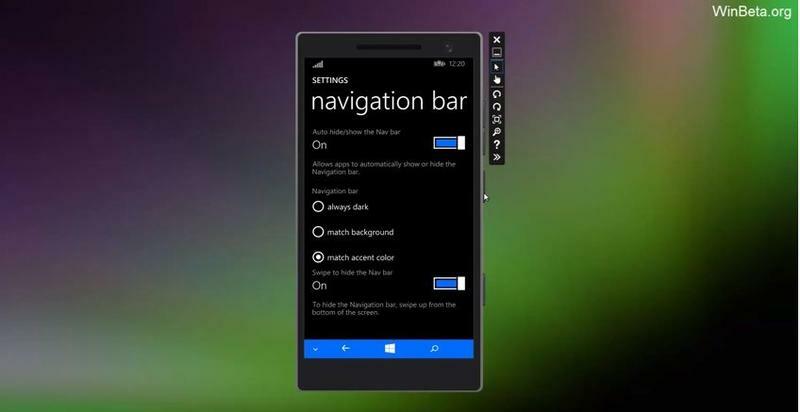 You can customize the navigation bar to always show, to match the background or to match your theme color. If you’re unfamiliar, the navigation bar provides the on-screen controls at the bottom, eliminating the need for OEMs to add touch-sensitive buttons. You can also now customize the volume of media and the ringer independent of one another. 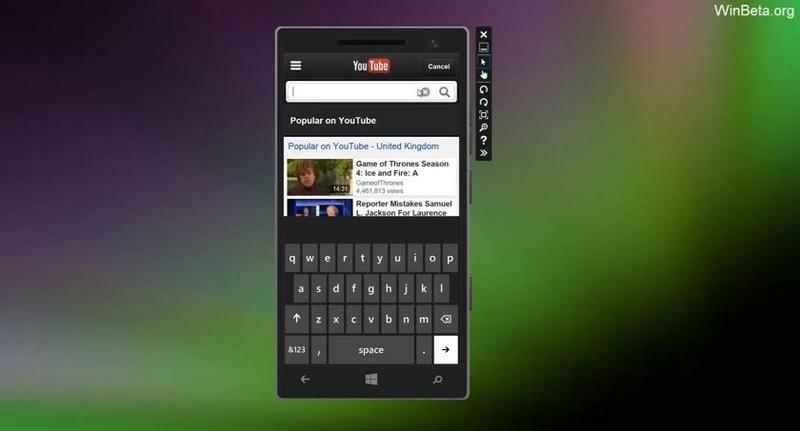 Also, as we were told yesterday, support for the Web version of YouTube has been enhanced. Also, SkyDrive is now OneDrive, as we already knew. Again, this is still a developer emulator so anything can change. We don’t get a close look at the new notification center or Microsoft’s Cortana voice engine that we’re expecting, though we really hope those end up making it into the final build. Windows Phone hasn’t been updated with a major push in more than a year, so Microsoft will need to make sure this offers a lot of compelling options.